Andrea Bailey takes us on a special journey to three recommended day trips from London that won’t leave you out of pocket! This ‘City of Dreaming Spires’ needs no introduction. One of the best ways to explore Oxford is by the Great Western Railway trains from Paddington Station. After a journey time of approximately 1 hour, you will be able to walk into the town from the historic station. One of the recommended experiences in Oxford is the Oxford Castle and Prison, where visitors are taken on a very engaging tour around the grounds and would learn all about the history and infamous inmates of this former prison. Did you know? Oxford is the inspiration behind Alice in Wonderland. It is believed that Christ Church is where Alice Liddell (the real Alice!) lived and inspired Lewis Carroll to write the story that we have come to love over the generations. Oxford has also been the inspiration for the Inspector Morse series. 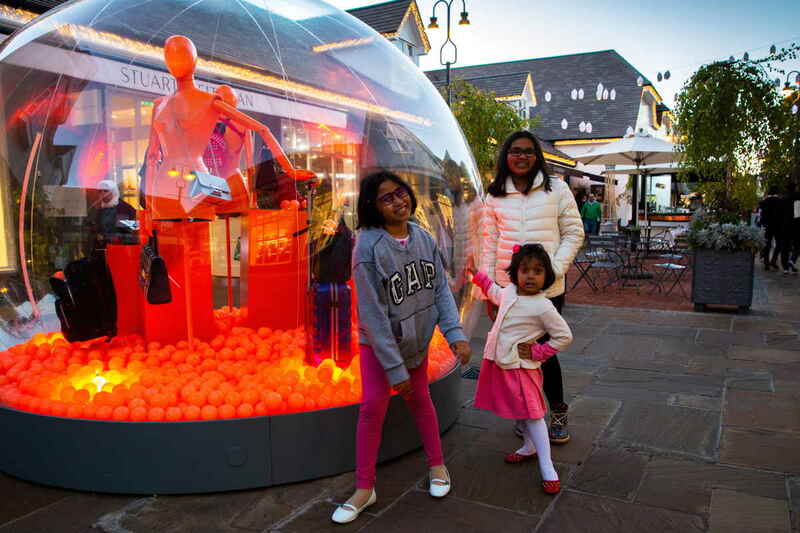 BICESTER VILLAGE – the outlet shopping street that is a destination in itself. Shop at Ralph Lauren, DKNY, Prada and many more stores at hugely discounted prices, and when you need a break, try out one of the cafes or restaurants in the village. Location: Bicester Village is located a short walk from the railway station on the same train line as Oxford. Top tip: Take the historic Great Western Railway Trains to Oxford. Take the castle tour around the residence of the royal family or hop on a bus and explore the town of Windsor. The original castle was built in the 11th century after the Norman invasion of England by William the Conqueror. The castle is famous for being the residence of the British royal family and for its impressive architecture. If you take the bus tour or have a car, you can visit the royal family farm where you can have tea at the tea shop located at the far end of the castle grounds (access isn’t from the main entrance). Top tip: Visit the tea shops in Windsor to taste freshly baked scones with clotted cream and jam. Legoland! Take some time out from the tours and enjoy the rides at Legoland. We decided to take a trip to the countryside not far outside of London and were pleasantly surprised by the beautiful Surrey Hills, an Area of Outstanding Natural Beauty. We wanted to walk around the little villages so we took a train to BoxHill and Westhumble station. Our 3 girls proved to be troopers and walked without complaining…well not much anyway. On one of the many stops, we met a lady who offered us freshly baked banana bread, something that made our day and proved that meeting the locals is one of the best perks of travel. TOP TIP: Visit the area by car and you will get to see more of the villages and countryside.